In 1946, Bill May crafted a guitar in his Melbourne garage that he wanted the world to hear and to play. In a matter of years, it was in the hands of Elvis Presley on film. Later, a Maton played the riff that defined a generation on the Rolling Stones' 'Gimme Shelter'. Today, Maton are an essential part of music culture in Australia and around the world. This is not only a book for guitar lovers - it's an intimate family history and an essential part of Australian music history. Compiling over ten years of research, and over two years in production, this book is as well-crafted and family-owned as Maton guitars themselves. Go behind-the-scenes to meet the artisan guitar makers. Read the stories behind the songs created with Maton guitars. And go backstage to meet the bands and musicians that have, with a Maton in hand, shaped our musical world. Published to coincide with Maton's 70th anniversary, The Music That Maton Made is a comprehensive, full-colour tribute to a home-grown guitar range that has been embraced by famous musicians and guitar enthusiasts around the world. 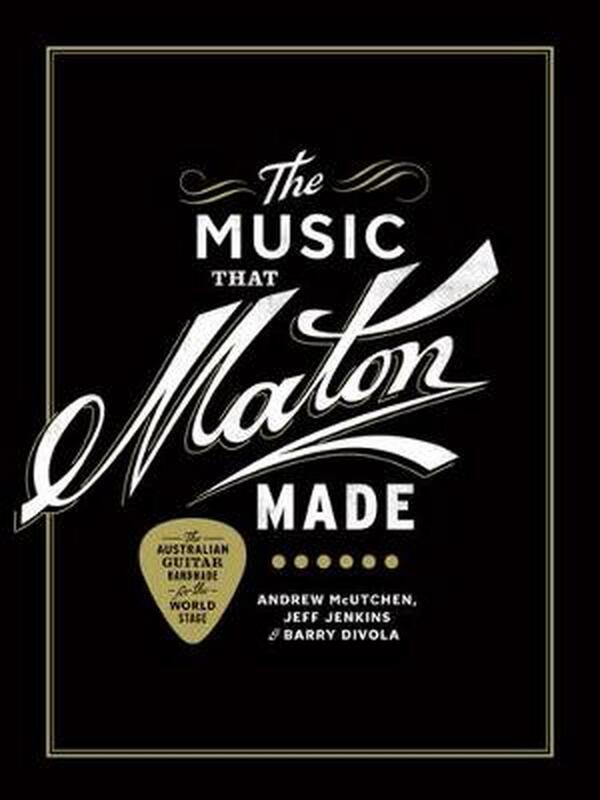 The Music That Maton Made was produced by Story Matters Most, with contributions from Andrew McUtchen, Jeff Jenkins, and Barry Divola. The project manager for The Music That Maton Made was Chantel de Fraga. Upon receipt of the book I was surprised and delighted by the sheer size and presentation. Upon opening the book astonishment and amazement confounded me as the variety of the contents unfolded. Seventy years of history of the Maton family and the guitars that are found and played all over the earth. They, like the May family are becoming another Ozzie legend. A most enjoyable and enlightening tome, most highly recommended. Purchased from "The Nile", I enjoyed excellent service. The book arrived very promptly in excellent condition due to most careful packing.